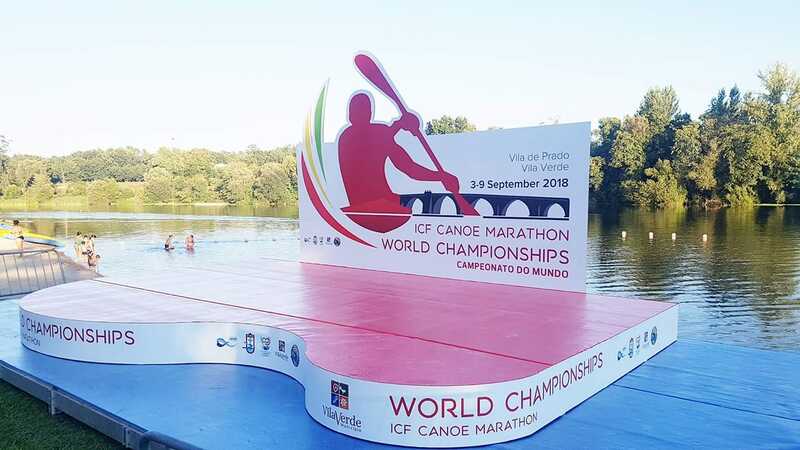 Almost 500 athletes from 35 countries will participate in the ICF Canoe Marathon World Championships 2018, which will take place between 3 and 9 September in Vila de Prado, in the municipality of Vila Verde. The best in the World will discuss, in Faial River Beach, the 2018 world titles of junior, under 23 and senior in the K1, C1, K2 and C2. Among the entries, the 2017 world champions should be highlighted in the event held in Pietermaritzburg, South Africa. At the beginning of September, in Portugal, will be, among others, Zsóka Csikós, from Hungary, junior champion of K1; Sára Mihalik, from Hungary, under 23 champion of K1; Adolf Balázs, from Hungary, junior champion of C1; Ádám Varga, from Hungary, junior champion of K1. Liudmyla Babak, C1 title winner, will also defend the title achieved in South Africa, with South African K1 world champion Hank McGregor emerging as another of the athletes enrolled in the ICF Canoe Marathon World Championships, which takes place in Portugal. Led by José Ramalho, six times European champion and 4th place in the last ICF Canoe Marathon World Championships, in the K1 in South Africa, the Portuguese team is composed of 36 canoists, who will try to give their best, with the support of the Portuguese public that will answer affirmatively to the call and mark presence in weight in the Faial River Beach. End times are already set. On the 6th of September, the K1 women junior (9:00 a.m.), the C1 women junior (9:05 a.m.), the K1 women under 23 (11:50 a.m.), the C1 men junior (12:00 p.m.) and the K1 men junior (3:30 p.m.) will take place. For the 7th of September, are scheduled the finals of the K2 women junior (9:00 a.m.), the C1 men under 23 (9:05 a.m.), the K2 men junior (11:50 a.m.), the C2 men junior (11:55 a.m.) and the K1 men under 23 (3:30 p.m.). On Saturday, September 8, the planned finals are C1 women senior (8:45 a.m.), C1 men senior (10:30 a.m.), K1 women senior (2:00 p.m.) and K1 men senior (4:30 p.m.).